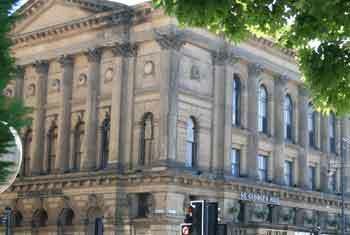 Have you ever been to the notable St George’s Hall in the heart of Bradford? Did you see your favourite band there? Enjoy a classical performance? Been captivated by a magic show? Laughed your socks off at a comedy event? If you have, then we want to hear from you! From Bowie to Bollywood or Hallé to Houdini, an amazing variety of famous personalities and performers have visited and performed at St George’s Hall since it opened in 1853. The first ever monumental civic building of its type in the North of England, and one of the largest and lavish concert halls in the country, St George’s Hall has a rich and fascinating past. Now, as a major refurbishment nears completion, the people of Bradford and the surrounding areas are being asked to help to piece together the story, so it can be brought to life with unique dynamic displays that weave along all four levels of the venue. Memorabilia is particularly needed for any bands and singers, speakers or personalities who appeared at the venue in the 1930s, 1940s, 1950s and 1960s. Other souvenirs are needed for: David Bowie who performed at St George’s Hall in 1972/73, Queen in 1973, The Stranglers in 1987 or 1990, New Model Army in the 1980s; as well as Cleo Laine in 1953, Shirley Bassey, Beverley Knight and Bollywood star Shilpa Shetty more recently. Historical items which may have been passed down to family members are also wanted, particularly relating to Charles Hallé, the Hallé Orchestra and the early classical subscription concerts which began in the late 1850s and 1860s; plus appearances by the likes of Clara Novello in 1855; and John Suchet & the European Union Chamber Orchestra, Tasmin Little, or James Galway as part of the more recent classical music seasons. Mystery and magic performers have appeared at St George’s Hall over the years and anything related to the late great Harry Houdini would be a great asset to the displays. Or perhaps you know of other magicians, illusionists or performers who incorporated magic into their acts at St George’s Hall, such as Tommy Cooper or children’s favourite, Sooty! There is also a gap in the archive relating to political rallies known to have been held at St George’s Hall by the likes of Winston Churchill; and appearances by the actor Henry Irving in 1878 and the explorer Rev. Dr Livingstone in relation to his discoveries in Central Africa in 1857. If you have any memorabilia that you could share with us or loan to the collection when the venue reopens, please contact marketing@bradford-theatres.co.uk or call 01274 433634.